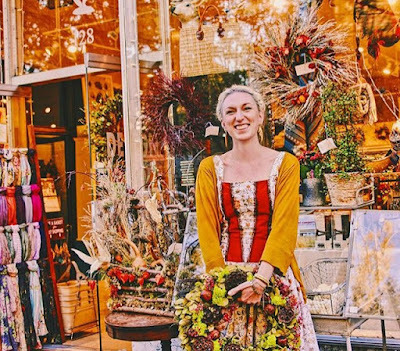 Just loved seeing this photo of Lindsay in front of the store from uber talented local photographer Athena Delene cross our feed. Screams Autumn at Passionflower....well also a little bit "The hills are alive with the sound of music" . Just call it our Tyrolian Thanksgiving fantasy. As you can tell, the store is totally geared up for all things Thanksgiving. So come and visit.